Montgomery County Commissioner Joseph Gale announced on Tuesday that he is running for lieutenant governor. If the Darwin Awards were given to political campaigns that died under tremendously stupid circumstances, Joe Gale's bid for lieutenant governor may soon qualify. 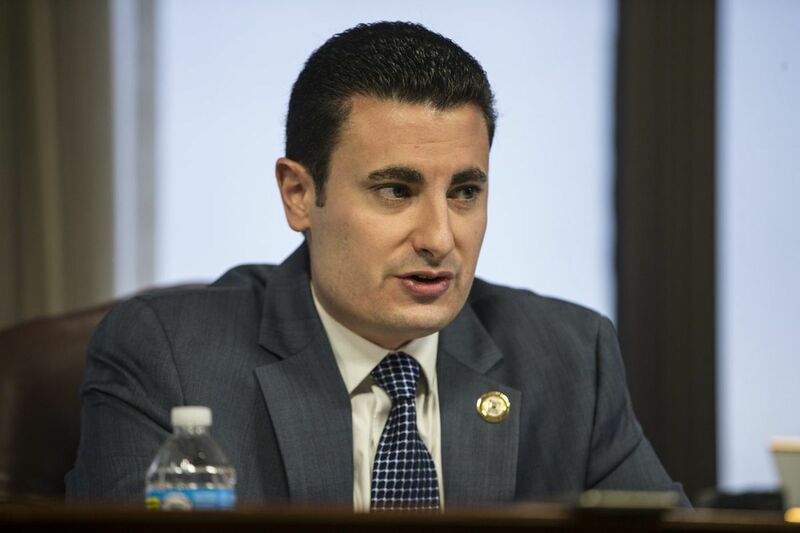 Gale, a 28-year-old Montgomery County commissioner, announced Tuesday that he is running for gubernatorial sidekick in the Republican primary. The only potential problem? You have to be 30 years old to hold the office. "No person shall be eligible to the office of governor, lieutenant governor or attorney general except a citizen of the United States, who shall have attained the age of 30 years," reads the state constitution. Gale, who has never been the type to back down from a challenge, insisted he can legally become lieutenant governor. Eventually. "You do not have to be 30 to run or be elected — you just must be 30 at the time of the swearing-in. So I would have to wait only two months to assume office," he said. "There was a U.S. senator from West Virginia, Rush Holt Sr., who was under 30 and had to wait six months to take office. And a congressman from Kentucky, John Y. Brown, who was under the required age of 25 and had to wait until the second year of his term to get sworn in. For me, it's only two months." Asked if this is an accurate reading of the law, local elections attorney Lawrence Otter said: "That's nonsense." Otter noted that neither of the examples cited by Gale took place in Pennsylvania. "This is not a federal question. This is strictly a state law question … and it would appear that he doesn't meet the age requirement, which is constitutionally mandated." Gale, for his part, said that he had consulted "a legal team of lawyers and retired judges" and that "there is no question that I am eligible for lieutenant governor." He declined to provide any of the attorneys' names. In his campaign announcement, Gale said he wanted to run "because families and taxpayers across this great state deserve a proven conservative watchdog who can be trusted to clean out the cesspool in Harrisburg." In 2015, the proud Trump supporter defeated two establishment Republicans in the race for county commissioner. Even if Gale isn't the serious candidate that he claims to be, he may have a reason to run: One of Gale's Republican opponents in the lieutenant governor primary, Jeff Bartos, has ties to the Montgomery County GOP elite. Gale slammed Bartos in his campaign announcement, saying Bartos "actively opposed" him in the general election for county commissioner. "Jeff is a conservative outsider running to change the way business is done in Harrisburg," said Bartos spokesman Chris Grant. "I can tell you this," said Gale, articulating what could become his campaign slogan. "The people of Pennsylvania would rather wait two months for me to get in there and clean things up than be stuck with four more years of the same old politics as usual."